Rachel is the leader. Please contact her directly for meeting times and dates at [email protected], or go to Facebook page. Index to information on the Internet about Lyme disease. Founded by Leslie, Tracie, and Judy~ two sisters and friend who decided to fight the lyme war and take care of people, one-person-at-a-time! Now the LDUC is a parent organization of multiple state groups with over 3,000 members. The LDUC is the parent organization of the Kansas Lyme Fighters, Inc. since we share the same mission and vision of one-to-one advocacy whenever possible. Lyme Disease United Coalition The Lyme Disease United Coalition is an all volunteer 501© (3) corporation-tax exempt. Judith Weeg,President Tracie Schissel, V.P. $12.00/year, bi-monthly newsletter with extensive digest of information and education for people with tick-borne diseases. Follow her progress as she journeys through the difficulties have being a young wife and mother of four young children. She is a quiet, tender, loving woman with unusual faith and strength. Johnny met Peninah in Lyme Chat. He gave support and encouragement to build the first Kansas Lyme Fighters, Inc. website. Johnny has been an admin on this site since it began. He is also actively helping people with Lyme disease on a daily basis. Our goal is to raise awareness that Lyme disease and associated tick-borne diseases can be very serious. 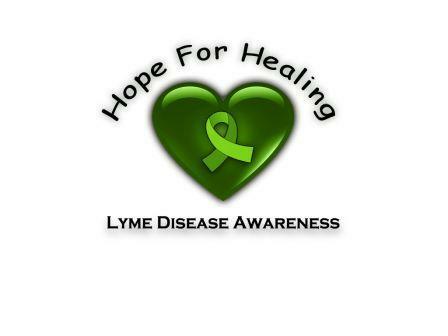 Lyme-Aware.org is intened to create a unity among all of the organizations, websites, blogs, authors, etc. A website aimed at those interested in or suffering with Lyme disease and/or the many other infections carried by ticks. This website has been created to help - if you are suffering with Neuro-Lyme symptoms, YOU ARE NOT ALONE!